The Nautic Hotel welcomes its Guests with a B&B formula (bed and breakfast), giving also a possibility to dine in our Nautic Club House Restaurant or in the restaurants placed in vicinity that offer traditional cuisine and fish menu at special prices and with no time constraints. 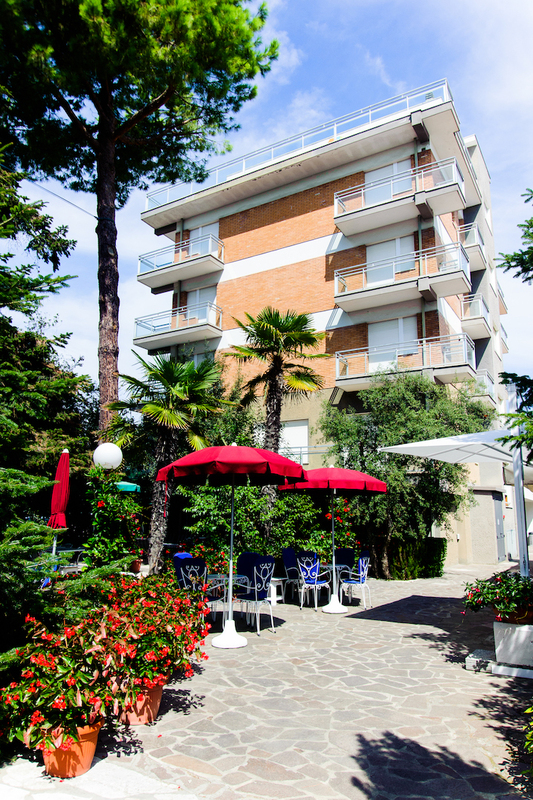 Comfortable and quiet hotel immersed in a green well-kept private garden is placed in a strategic position close to the sea and to the main pedestrian promenade. 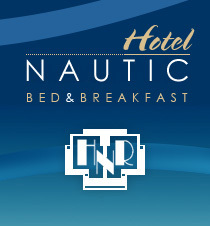 All the rooms of the Nautic Hotel are easily accessible with a lift, well-furnished, comfortable and cosy. They are equipped with a recently renovated bathroom with large shower box and hairdryer, renewed balcony with lateral sea view or garden view, air conditioning, satellite TV, mini fridge, safe and ADSL (Wi-Fi) internet for free. The hotel disposes of a wide swimming pool (20x8m) with overlying sunny terrace with deckchairs, sun umbrellas and beach towels at disposition to fully enjoy the Adriatic sun and relax. Next to the swimming pool you will find a private bar to refresh yourself with a drink in a quiet atmosphere. You can work out at the fitness area set up with Technogym equipment, enjoy a bit of relax in the air-conditioned TV room or using the bicycles of the hotel reach the town center. A wide private parking place at disposition as well. The Hotel is appreciated for the full range of services on offer, tranquility, relaxing atmosphere, general cleanliness which guarantee a very comfortable overstay!